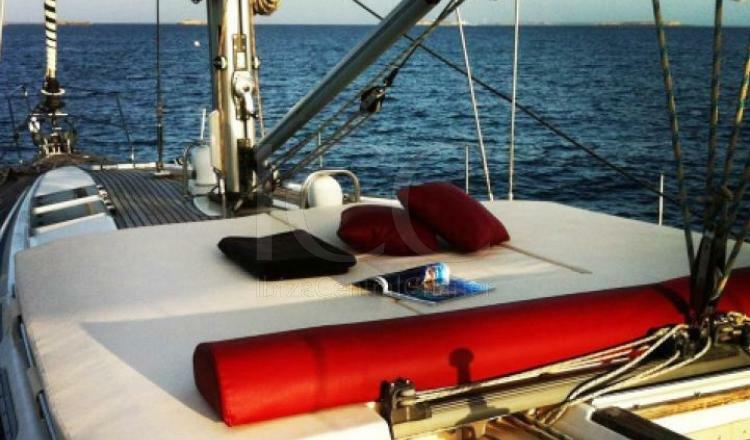 The sailboat Bavaria 47 is a big and large boat, perfect to navigate across Mediterranean sea and discover hidden nooks in Ibiza and Formentera. 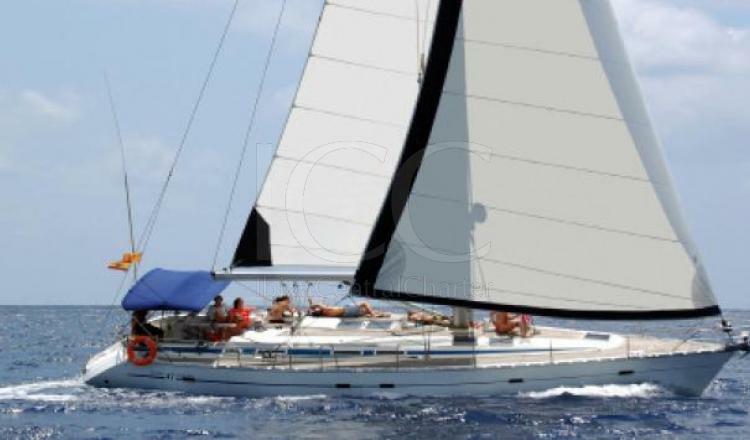 This beautiful sailboat of 15 meters in length has great navigation features, is fast and very reliable. 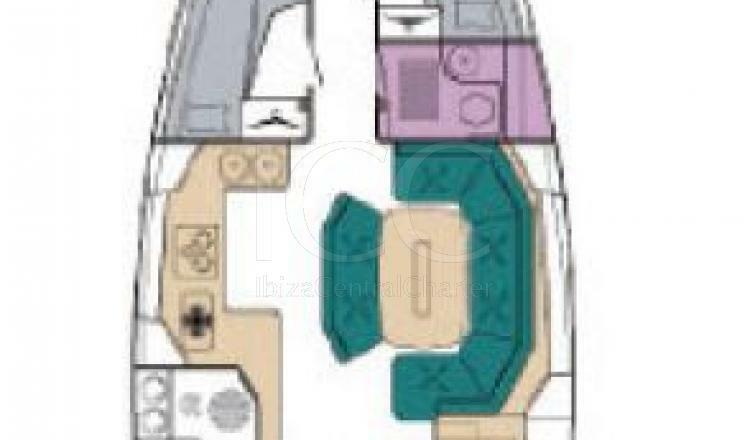 It has five double cabins, one of them occupied by the skipper, and two complete bathrooms, giving a capacity for 8 passengers to comfortably live on board. 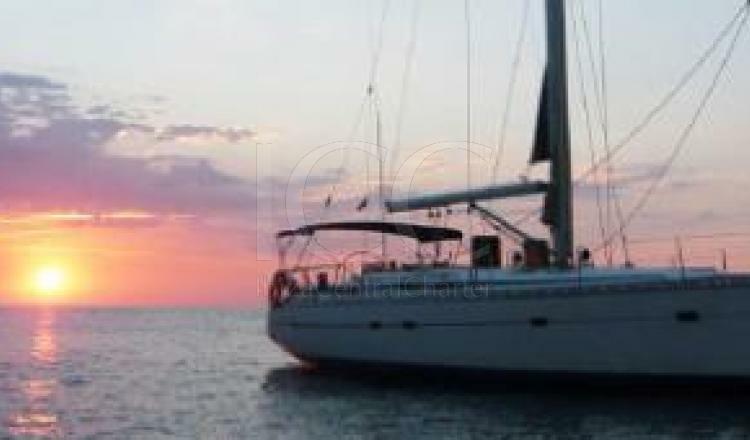 Like the rest of the sailboats of this famous shipyard, the Bavaria 47 is perfectly equipped with all the amenities to make you enjoy an unforgettable vacation in the beautiful waters of the Mediterranean Sea. 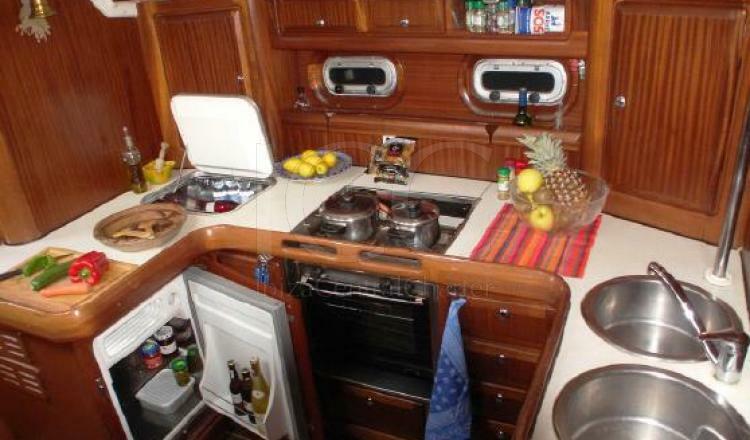 Inside we find a spacious living / dining room with a fully equipped kitchen (oven, hob, sink, and all the necessary utensils) and a comfortable sun terrace on the outside ideal for relaxing and sunbathing and a table with aft sofa to enjoy breakfast, lunch or dinner outdoors and protected from the sun under your awning bimini. Enjoy the White Island at the rhythm of a regatta! 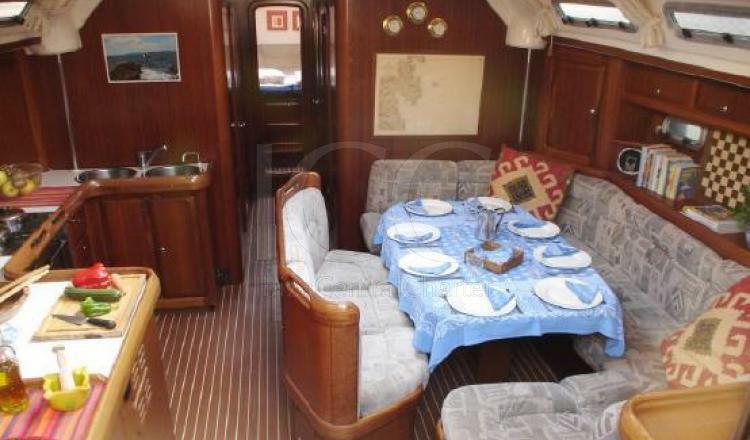 - Boat and occupants insurance. - Final cleaning: € 160 / week. 50% reserva por transferencia, 50% antes del embarque.